Outside the Box: Australia Day! This week, well on 26th January, is Australia Day. So our lovely Aussie teamie, Ina, jumped at hosting the new challenge at The Outlawz Colour Challenge! Yes, this week's challenge is to use the colours of the flag to make your project! I used a circle die cut for the moon and I gave it a bit of glam with some Wink of Stella. 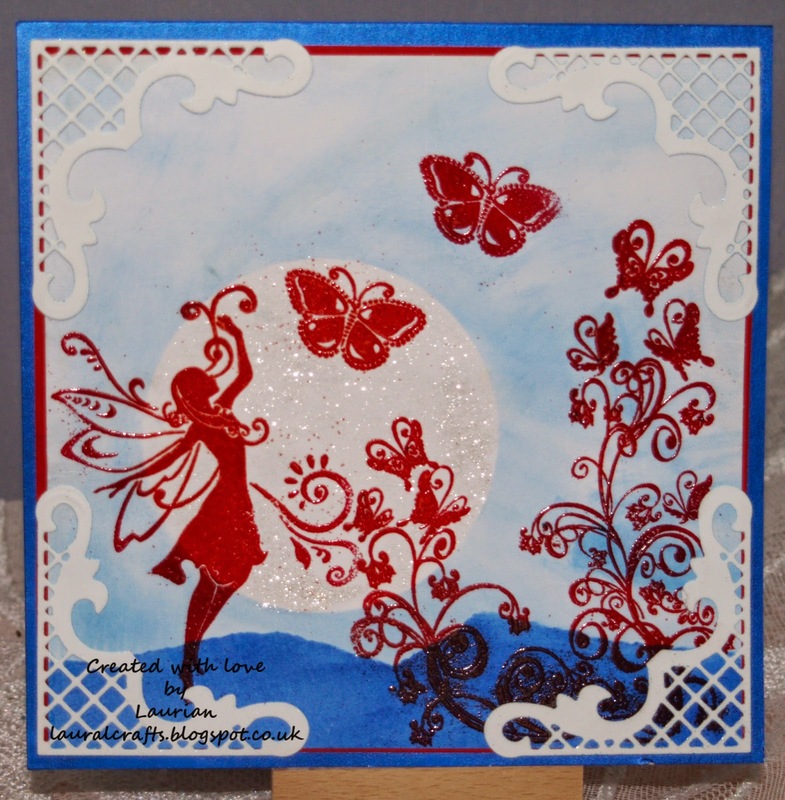 The fairy and swirly dies were free on a magazine and I used some red embossing powder to heat emboss them, the blue background is inked (boy were my hands blue!) and I finished it off with some white die cut corners (die from Joy). So lets see your red, white and blue projects - they can be as simple or as fancy as you like!